Dr. Gozal kicks off this new lecture series with a discussion about the neurocognitive consequences of sleep apnea and the lessons learned from animal models and children. Click here to see the flyer from this event. 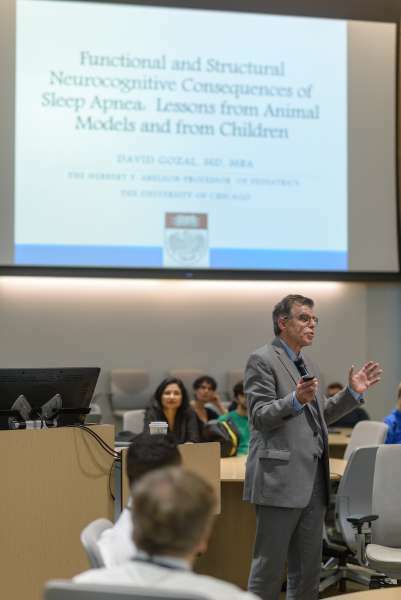 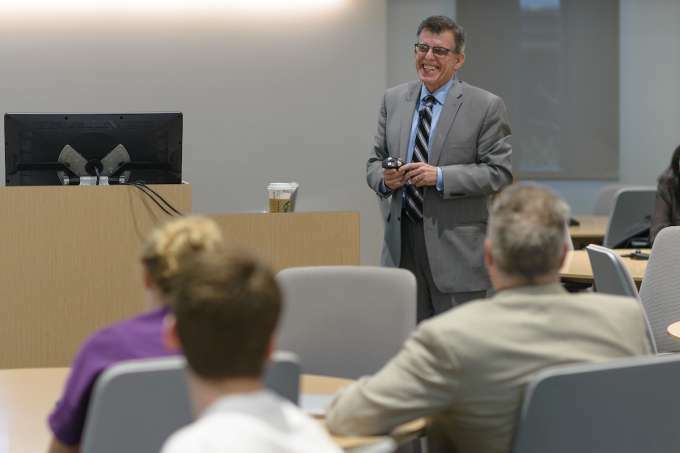 Dr. David Gozal speaks during the first McKnight Brain Institute Neuromedicine Scholars lecture series.